Are dental implants worth it for clackamas? 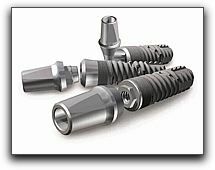 The actual dental implant material is usually titanium. A post is surgically inserted into the jaw bone to replace the root of the missing tooth. The post integrates with the bone to provide a stable foundation. This is important because the root replacement post helps prevent jaw bone deterioration that ordinarily occurs after a tooth has been lost. The unprecedented dental implants available in the Clackamas and Gresham area are extremely versatile and can be used in a variety of configurations. One dental implant can replace one missing tooth. A series of implants can replace more than one tooth or anchor a dental bridge. Clackamas denture wearers should know that tooth implants can also act as a sturdy base for partial or full dentures. When calculating the cost of dental implants in Portland, it’s important to compare them to other restorative options such as a dental bridge. Call 503-905-3380 to schedule a visit to discuss your dental goals and the possibility of affordable dental implants. If you are missing one or more teeth, you owe it to yourself to get dental implants information.